Starting Sept 27, 2016, Tracfone, the parent company of Telcel America, will increase their reseller pricing further! In order for us to continue selling this product online, we have to charge 2% extra so we will not be losing on this product considering the costs of selling this online. However, you still save with us compared to local store or directly from the provider since we don’t charge sales taxes! Click here to see a list of available Unlimited International Long Distance destinations. Remember to dial 1-415-655-0992 when calling internationally and follow these instructions. For calls to most countries, enter 011 + Country code + city code + phone number (For example: 011525533003900). For calls to Canada or the Caribbean, enter 1 + area code + phone number (For example: 19053744447). Go to your Telcel America phone's "Prepaid" menu and select the "Prepaid" option. Launch the browser on your Telcel America phone and select the option "Refill My Account". 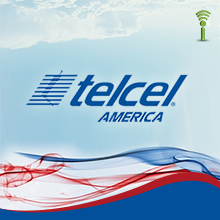 If your phone does not have a "Prepaid" menu or the "Refill My Account" option, you can continue to go to www.telcelamerica.com/Refill or contact Telcel America at 1-800-220-9518 to refill your My Account. The Telcel America logo and product images are registered trademarks of Telcel America. CallingMart is in no way affiliated with Telcel Americaor any other entity for which a logo or name may be present. CallingMart refers to these logos and or names solely for the purpose of demonstrating the products and or services that it resells.